My name is Leo Norling. I am a senior at MSU, majoring in psychology. I also have minors in women and gender studies and leadership of organizations. While looking at what happened in Charlottesville, there are definite issues that we must attend to in our country. Charlottesville demonstrated racism is still live and well in our country, and people are taking things into their own hands, using violence. Looking into specifically what President Trump has said about the matter, he never explicitly called out white nationalists, causing a lot of debate. The neo-Nazi website even thanked him for the support by not condemning them specifically. Growing up as a teenager in America, I have been very privileged. I have never been scared for my life or been put in a serious situation. I am a minority and have experienced some racism, but nothing with outright violence. The area that I grew up in was not necessarily diverse but was accepting and I felt safe. However, I was in a middle-class area in a suburb of Chicago. So, I do recognize my situation is not the average and did not happen everywhere. There is a lot more violence and bigotry in the areas around me; depending where I went, I knew where to be aware of my identities and how to present myself. With this said, I think it is disappointing that I must adjust who I am depending on where I am. I should not have to fear my life for a characteristic of myself not being seen as acceptable. Moving forward, I propose to our elected leaders today that acceptance should be a priority. This may be a loaded topic, but it is important to have this acceptance to form unity and a great nation. With acceptance, I can be who I am meant to be without having to worry about hate. With acceptance, I can be an out transman without fearing my life. With acceptance, having a family, getting a job, find love, using bathrooms, and any other rights people take for granted, will not be difficult to come by. Again, this seems like a general and bold issue to prioritize. However, there are simple initial steps that can be taken. One, we must stop preaching hate. During the whole campaign of Trump, racism was a part of it. He would put down minorities left and right. Even now, there has been a muslim ban promoted and division between Mexico and America with a giant wall. This is just the opposite of what the country needs. In events of Charlottesville, I truly think groups thought it was okay, even fulfilling what Trump wanted (see https://www.nytimes.com/2017/08/12/us/charlottesville-protest-white-nationalist.html?mcubz=0). The elected leaders, in particularly our highest elected leader, the president, is doing the opposite of what the country needs. To gain acceptance, leaders must demonstrate it. If people are looking towards our leaders, and they are almost encouraging racism, things will only get worse. I hope one day in America, people can actually stand united. People can see no matter where one is from, who they are now, and what they may become, we are all still Americans. There is this divide still within the country of “us” vs. “them” or “minorities” vs. “privileged”. I hope one day people can check their privilege. Not in an attacking way, but so we can learn from each other. If we start to think more collectively than individually, then maybe acceptance can follow and we can have a country that supports everyone, where no one is in fear for being who they are. Accepting Acceptance by Leo is licensed under a Creative Commons Attribution-ShareAlike 4.0 International License. Leo, I am very sorry to hear about the position you are in. I agree it is completely ridiculous that you feel the need to change the way you present yourself according to the area you are in. Everyone should be treated with respect regardless of looks or culture, and we should be celebrating culture not suppressing it out of fear! As for the writing itself- I really like how you created an underlying theme of this generation being the people who can change the future for the better. Also, I like how you are able to realize how much privilege you have- not many people can do that nowadays- “I am a minority and have experienced some racism, but nothing with outright violence,”. I also agree that Trump’s refusal to call out the white supremacists in Virginia was another unneeded thing added to the list of negligent tones American leaders have had throughout history. And if you are really interested, here is an article that talks about the debate of Trump renouncing the white supremacists in Virginia: https://www.theguardian.com/us-news/2017/aug/12/charlottesville-protest-trump-condemns-violence-many-sides. Every week this country has had something new that could be added to the history books due to racist acts, but it is a shame that something like Charlottesville has to occur in order for people to understand the severity of our intolerance. People are so stuck in their ways they won’t even think about what it’s like being in the other person’s shoes. Thank you for sharing your view on the topic, I enjoyed reading your post! I am apologetic and filled with sorrow that these feelings of not belonging, based on one’s ethnicity, are still prevalent in today’s society. The United States of America is not living up to the expectations of its Constitution, and have since Charlottesville, taken steps back. We pride ourselves on the freedoms and opportunities this country provides, but as I have grown older, I’m beginning to believe those tales are a hoax. It is unnerving to know that there is a large group of white nationalists who believe their protest are “purifying” society; when in reality, I see complete fear and ignorance in their beliefs. I would agree that these white nationalists look up to Donald Trump, and use his choice of words to perpetuate hateful stereotypes throughout our country. Honestly, I am at a loss on how to change the minds of white nationalists because it seems they just want to repeat history over and over. But I do think there is power in people like you and I who want to lead a good example through peaceful action. 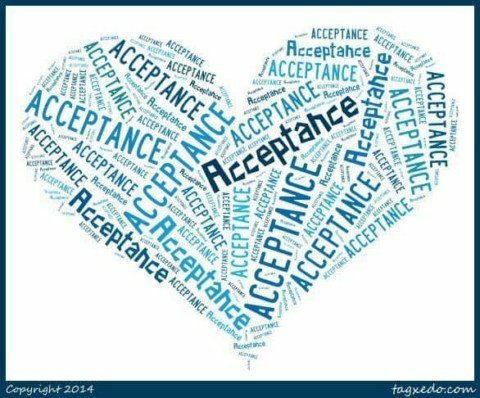 Leo, I think your comments about acceptance are very interesting. One of the main reasons is because you depend on full acceptance becoming a reality. “With acceptance, [you] can be an out transman without fearing [your] life. With acceptance, having a family, getting a job, find love, using bathrooms, and any other rights people take for granted, will not be difficult to come by.” I fully support what you’re saying. Something I’d like to bring to the table is the Universal Declaration of Human Rights (http://www.un.org/en/universal-declaration-human-rights/). This was written in 1948 and covers most topics. In one of the opening paragraphs, it says that everyone has the right to live without fear, which is something you said in your paper. But, things such as sexual orientation are not explicitly listed out. Do you think it should be revised to cover topics that are prevalent today? Or, is it good enough for now? I want to thank you for your letter to the leaders of this country and the topics that you brought up. In such a turbulent time, pieces written by those who will be most affect is both good and interesting to read. I’ll be more than happy to read one of your pieces again, possibly if one detailed what you hope to see in the future and the possible steps that are needed to take us there.